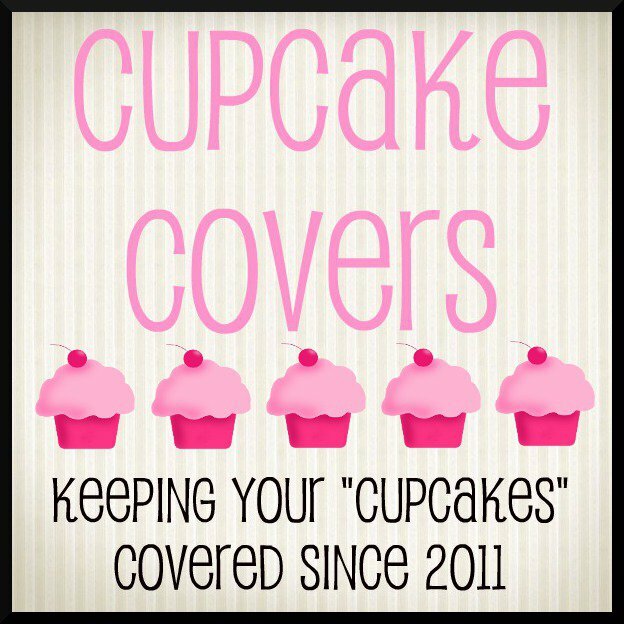 I truly am IN LOVE with Cupcake Covers. I was sent a starter kit to review and it's simply amazing. I told her I wanted something girly and this was the pattern she sent. I couldn't be more in love with everything in this starter kit. It comes with a pail liner, travel wet bag, and 12 cloth wipes. I actually wish I had a purse or diaper bag in this print. 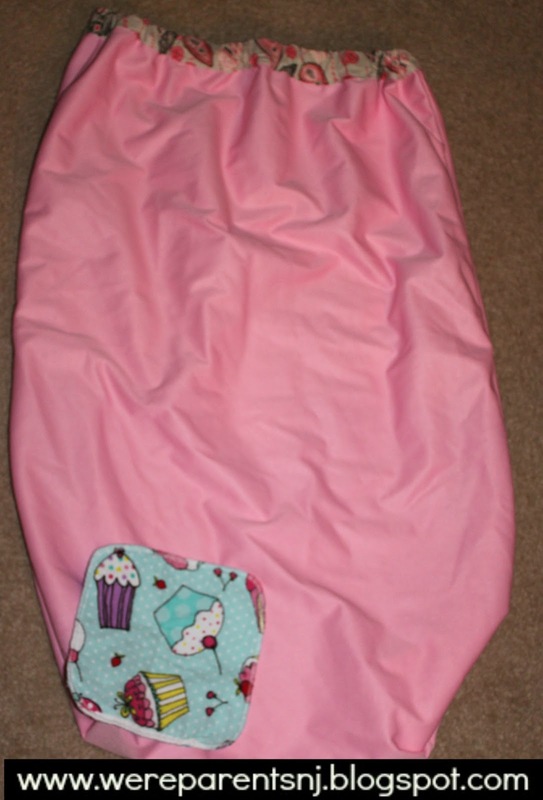 First the wetbag. The travel wet bag is great. I can attach it to anything with the snap hook and its super cute. 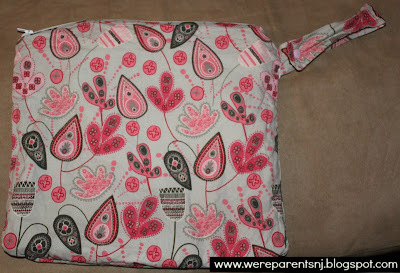 I have a few travel wetbags, but this one is thicker than the others I have which makes it seem way more durable. I love the snap hook that I can attach to our stroller, purse, diaper bag, anything. It's awesome. Now the pail liner. Before receiving this kit, I didn't have a pail liner, only a large wet bag that I was using so I was thinking it would be comparable to that. No way! I was so wrong. This thing is massive. Like seriously. I'm pretty sure I could fit at least 30 diapers in there easily. If not my entire stash of 45 diapers lol. 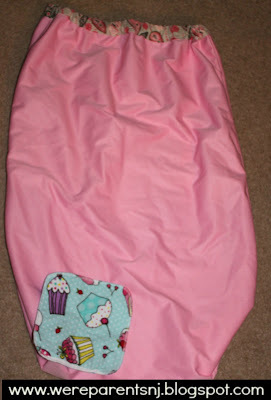 I put one of the cloth wipes up to it in the picture so you could get an idea of how massive this is. The elastic holds well to our container, never slipping or coming off. 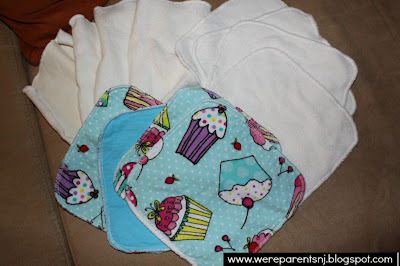 Lastly, I had never used cloth wipes before this, though I've been meaning to make the switch. They are so much easier in that I don't have to worry about making sure to throw them out. They are the perfect size. Very absorbent and after multiple washes have held their quality very well. 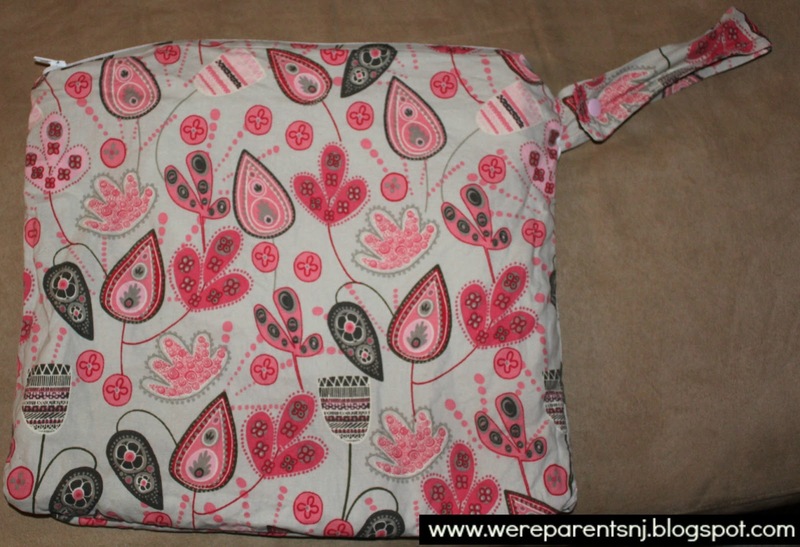 I love the pattern and the softness of the wipes too. I have washed every thing multiple times and the quality has remained just as amazing as day one. 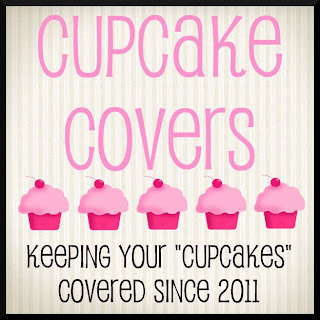 The service and selection you receive from Cupcake Covers is amazing. I love this stuff. Buy it: Cupcake Covers carries a variety of fun items, such as nursing pads, cloth diapers, inserts, pail liners, reuseable snack bags, unpaper towels, cloth wipes, and much more. Win it: One lucky winner will win a medium wetbags and 10 flannel wipes in their choice of girl, boy, or gender neutral print. This giveaway is open to US and Canada entrants. 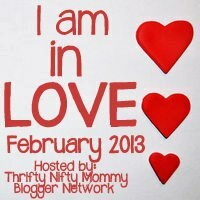 Giveaway will be open until 3/2/13 at 12:00am EST. Good luck! I could really use one of those snazzy pail liners. hemp/zorb inserts I have been wanting to try these!!! I love the Robot Reusable Snack Bags! So cute!! I would love to try a pail liner!